Our teachers blend the highest standards in early childhood development with nurturing care. Ms. Mawara is a pharmacist by training. She is also a certified CPR, First Aid and AED instructor along with being a trainer for Shaken Baby Syndrome and SIDS Prevention. She and her husband are raising two children of their own. As a parent, she knows the importance of quality child care in the early stages of development of a child. Ms. Mawara wanted to bring a high quality education-based early childhood program to the community where the children can learn while having fun. She is very proud to bring the first Goddard School to Dane County where a great team of educators offer a play-based curriculum along with hands-on learning for the future academic success and a life-time love for learning. Ms. Sheena joins our team as Co-Director. She graduated from the Milwaukee Institute of Art & Design with a Bachelor’s in Fine Arts. She continued her education at Wisconsin Lutheran College and received her Master’s in Arts Education, Leadership and Innovation. Ms. Sheena moved to Madison with her husband in February from Green Bay. 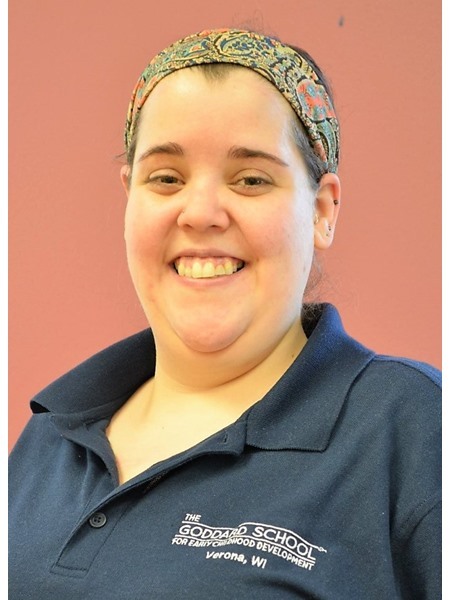 She has worked at the Boys & Girls Club of Greater Green Bay as an education coordinator. When she moved to Madison she became a center director for a childcare center. Ms. Sheena has been working with children for several years and has experience with all age groups. She enjoys the smile that children bring to her face and watching them grow developmentally. Ms. Sheena is very excited to continue her journey at The Goddard School. Ms Kacey , Lead Teacher Ms. Kacey comes to the Goddard school with previous experience as an infant teacher. She has obtained her Wisconsin infant/toddler credentials through the State of Wisconsin and is certified to teacher children birth - 6 years of age. When not working with children, Ms. Kacey has her own professional photography business. 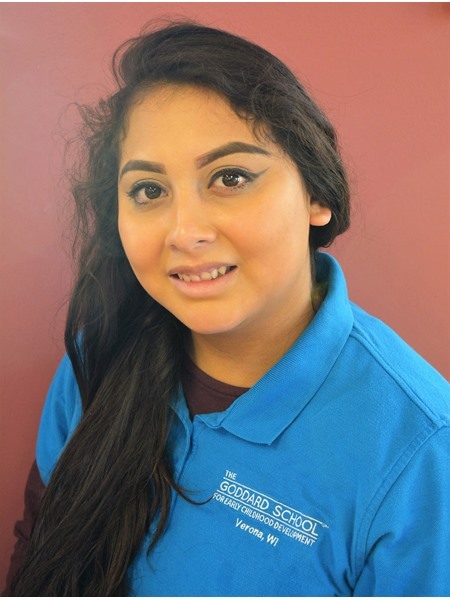 She loves building relationships with all of her families and looks forward to meeting all of the Goddard families. Ms. Elizabeth went to college in Dubuque, Iowa at Emmaus Bible College and graduated with an Associates degree in Secondary Education. She has worked with children ages 2-4 years in a nanny setting for over 3 years. She loves the laughter children bring to her day and being able to learn from them. She was born and raised in Mazomanie, Wisconsin. In the summer of 2016, she got married and moved to Arizona for a year. She moved back to the Mazomanie area about a year ago. She is excited to join the Goddard school and get to know all of the Goddard families. 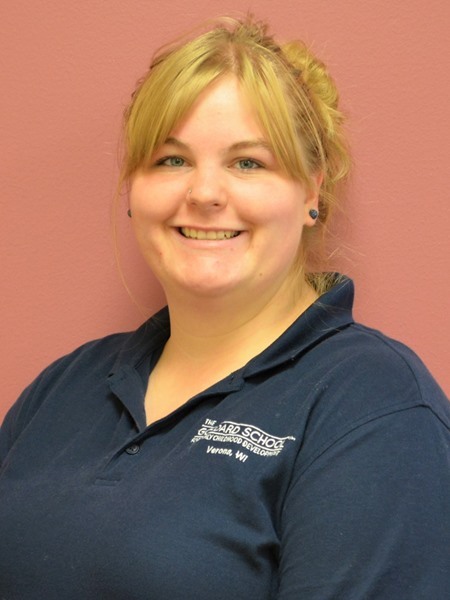 Ms. Ashley has been a lead Infant/toddler teacher in centers around the Madison area since 2010. She has extensive training in infant/toddler development, baby sign language, and mentoring staff members. Throughout her career, she has learned that being passionate about each child’s happiness and education along with providing a safe and nurturing atmosphere helps build self- esteem in children. Ms. Ashley also has a 14 month old daughter who attends the Goddard School as well. She looks forward to creating a safe and welcoming atmosphere for your child. Ms. Marie has her Lead teacher and Infant/Toddler certifications through State of Wisconsin. She is also trained in CPR, Shaken Baby Syndrome and Sudden Infant Death Syndrome prevention. Her plan is to get a degree in Special Education in the near future. She has also attended Work and Family consulting. Ms. Marie believes that every child is different, and part of her job is to help each one discover his/her own strengths and talents and nurture those traits through her educational approach. Ms. Melissa has an Associates degree from Waukesha County Technical College. 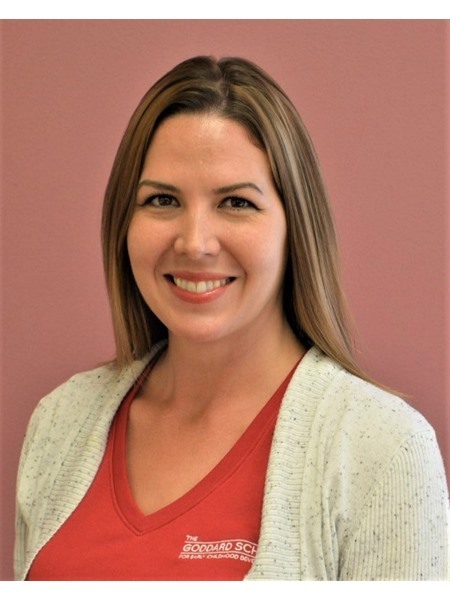 She also has her Early Childhood Education Lead Teacher certification through state of Wisconsin along with her Skills and Strategies of Early Childhood certification. She is from Hartford, WI and moved to Madison area about three years ago. She grew up in a childcare family. Her grandmother opened her own center and four of her eight children followed in her footsteps. Ms. Melissa enjoys being outdoors. She is into fishing, camping, running and winter sports and she enjoys watching Packers play. She believes children are the future and enjoys making a difference in their lives by teaching them new things and watching them grow. 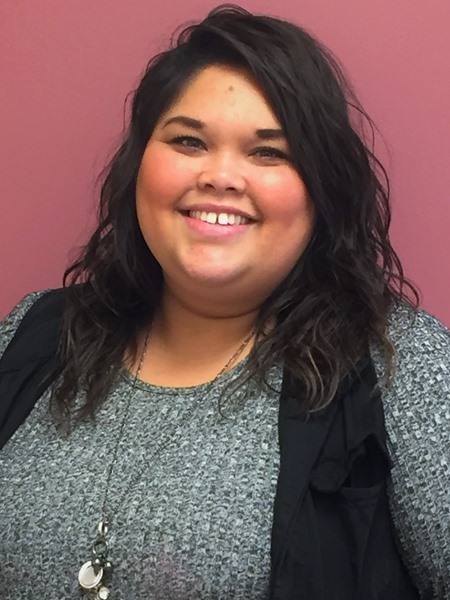 Ms. Elizabeth holds her Associate’s degree in Early Childhood Education from Southwest Technical School in Fennimore, WI. Most recently, she has worked with toddlers in an early child care setting. 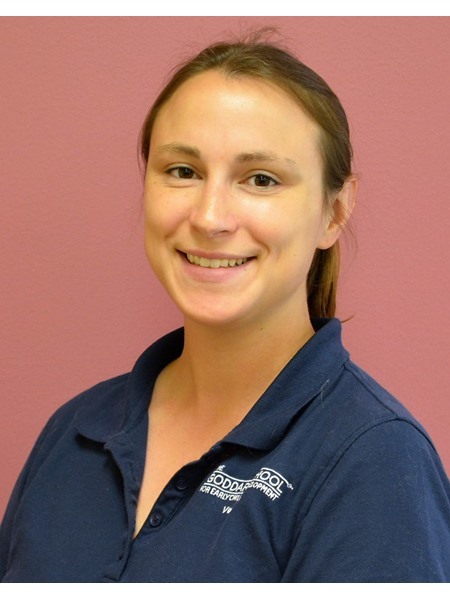 Ms. Elizabeth loves watching children grow and develop in a fun, stimulating environment. Her favorite moment is when she sees the look of excitement on a child’s face when they do something on their own for the first time. She is excited to be a part of the Goddard family! Ms. Danielle is our Education Coordinator. 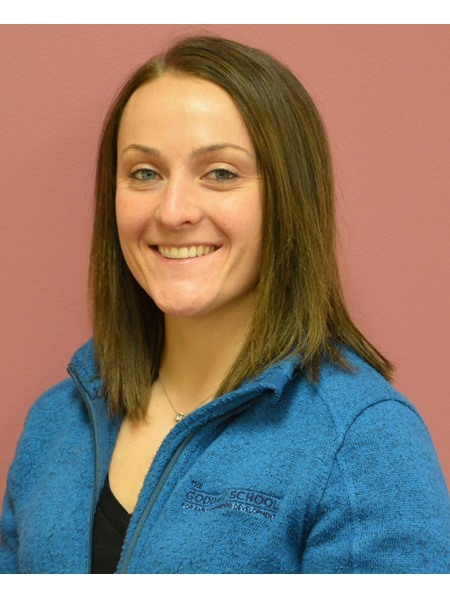 Ms. Danielle graduated from the University of Wisconsin-Platteville with her Bachelor's degree in Elementary Education with an emphasis in Early Childhood. She has been working in a preschool environment for the past couple of years. 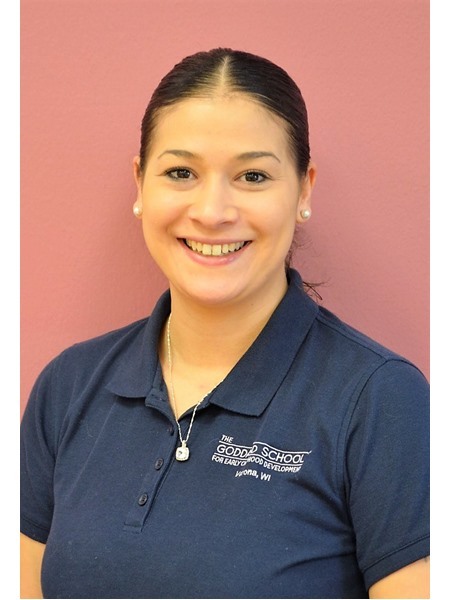 Danielle has worked with all age groups, specializing in working with toddlers. Before moving into the office, Ms. Danielle was our lead toddler teacher. She is excited to continue to work with the Goddard Families in her new role. 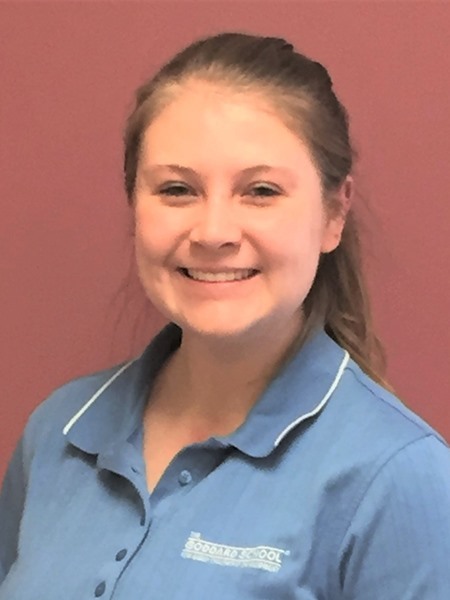 Ms. Kayla comes to us with over 5 years of experience working in the care field as an early child care provider, nanny and CNA. 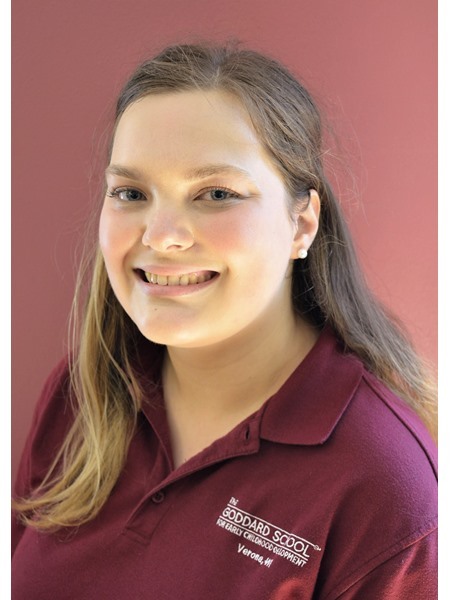 She is currently pursuing her Bachelors in Early Childhood through Concordia University. Ms. Kayla's philosophy is to strive to see the world through the eyes of the children she teaches. She loves being able to explore the world with them and watch them discover new things everyday. She is very excited to be working at the Goddard school and looks forward to getting to know all the children she is fortunate to work with. 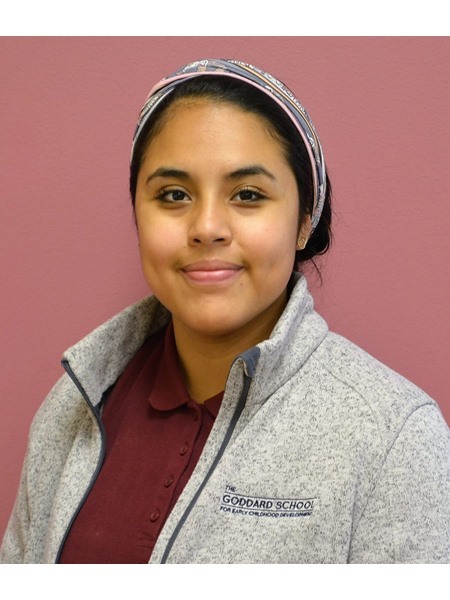 Ms. Karina obtained her Bachelor's degree in English and Secondary Education from University of Wisconsin-Whitewater along with her Assistant Teacher certification through Moraine Park Technical College. She just finished up her practicum teaching in special education in Sun Prairie. 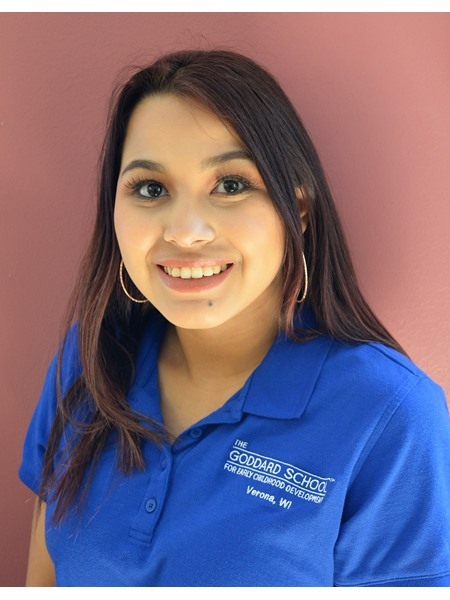 Ms. Karina is excited to work with the preschool children at the Goddard School and use her formal education from her studies. She believes that are children are interested in learning and is excited to bring learning to every child and ability in her classroom. 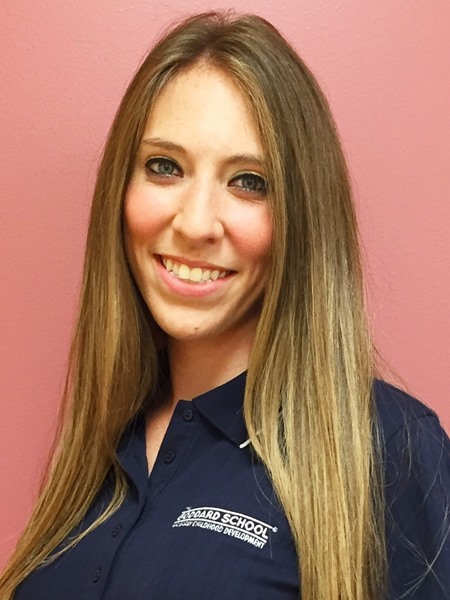 Ms. Lauren comes to us with over 4 years of experience in an early childcare setting as a lead teacher. 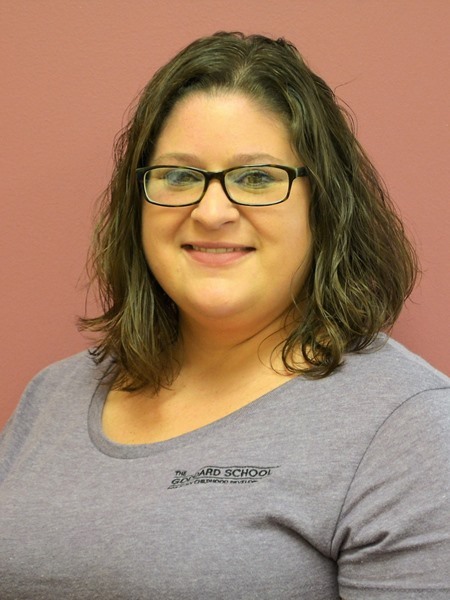 Ms. Lauren holds her bachelor's degree in Education from Edgewood College. Ms. Lauren is excited for her new role as a preschool teacher at Goddard. Her philosophy is to teach at the child's level to be able to teach new concepts at all levels of learning. She believes that children are full of life and ready to learn! She is excited to be able to teach all the children at the Goddard School! 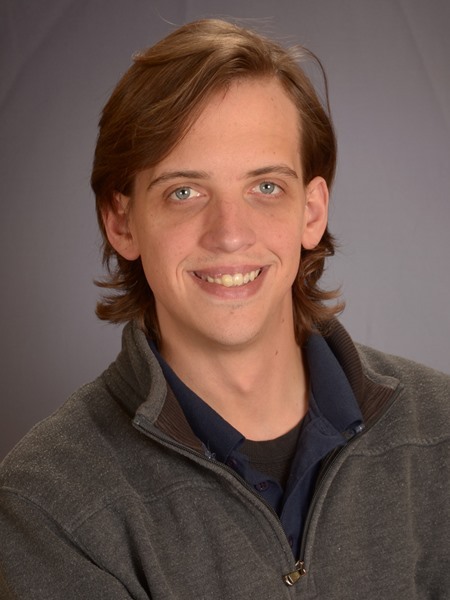 Mr. Mark Hymer has a Bachelor's degree in Elementary Education. He came to The Goddard School from Lac Du Flambeau Public School. His teaching philosophy is all about changing activities to suit all learning styles. He strives to form strong bonds with each child so he can learn how to help them succeed and develop the love for life-long learning. Mr. Mark loves technology and is very excited to use all the tools he has available at Goddard. He looks forward to meeting all the Goddard families. Ms. Natale has been teaching early education since 2014. She holds an Education degree from the University of Wisconsin-Whitewater and an associates in Early Education from Rock Valley College. Her philosophy is to ensure that all children feel safe while at school. She understands that all children learn differently and believes it is important to incorporate different learning styles and individualization in everyday learning. Ms. Nori comes to us with over 5 years of experience of teaching in a preschool. She holds her Master's degree in Public Administration along with her Bachelor's in Sociology-Occupational Management. 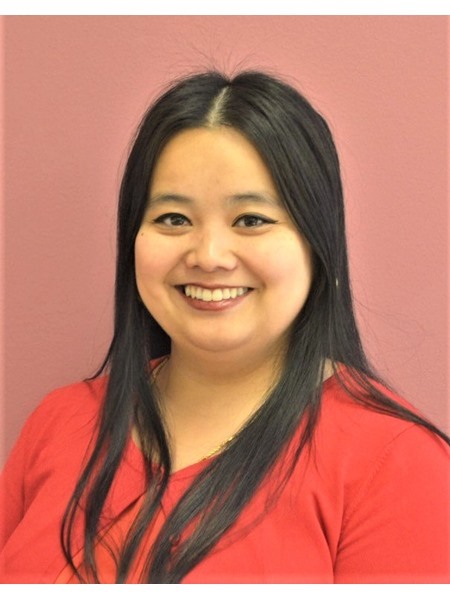 Ms. Nori has completed her training in WMELS and the Pyramid Model and is level 14 on the Wisconsin Registry. She is also certified in adult and pediatric CPR. Ms. Nori loves teaching and is passionate about the children in her care. In her spare time, you may find her working on their farm. She is excited to bring nature to her classroom and bring her love of gardening and planting to her students. She looks forward to meeting all Goddard families. Ms. Nea recently moved to the Madison area. She has her bachelor’s degree in Early Childhood Education from St. Cloud State University and her DPI license with State of Minnesota. She has been working with children for several years and lives for that “lightbulb” moment when a child really learns about something new for the first time. Ms. Nea loves that this career is filled with constant rewards and daily reminders on why she loves what she does. Ms. Nea grew up in the small town of Foley, MN. She loves to spend time with her husband and son, Weston every chance she gets. In her free time, she enjoys being outdoors, camping, going for walks, and spending weekends with her family in Minnesota. She can get lost in good books, loves to shop, dance and spend quality time with her friends. Ms. Nea looks forward to working with all the Goddard families! 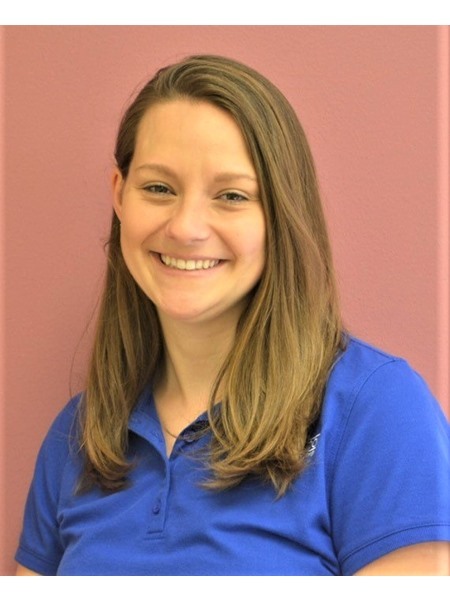 Ms. Aimee has her degree in Elementary Education from the University of Wisconsin-Platteville and has taken college courses in Early Childhood Education and Occupational Therapy from Concordia University and University of Wisconsin - Milwaukee. She also has her DPI license through State of Wisconsin. Ms. Aimee has worked in school settings and as a nanny with children ages 6 weeks - 6 years. She is excited to start working with the children at Goddard. Ms. Tammy is a mother of 3 girls, ages 34, 24 & 14. She made a choice after her first child was born, to be a stay-at-home mom, and around the same time started an in-home daycare of her own. She maintained this for nearly 30 years before deciding to end this chapter of her life. She took a small break and realized how much she missed caring for children. That is when she decided to continue her career at Goddard. Ms. Tammy's interests include spending time with her children, hanging out with friends, attending outdoor music concerts, taking long brisk walks, home decor projects and organizing. Ms. Maria joined the school as a resource teacher and shortly joined our infant/ toddler team. She has 5 years experience of working with younger children in different capacities. She is currently working on her childcare certification. Ms. Maria grew up in a Latino family resided in Madison area with her 4 siblings. Her hobbies are taking road trips, cooking, baking and watching classic movies. Ms. Marie is excited to be a part of Goddard team and is looking forward to know your children and watch them grow. Ms. Stella has been working with children in Early Childhood for over 3 years. She holds her assistant teacher and infant toddler certifications through the State of Wisconsin. She has an 11 year old daughter. She loves working with children because she gets to be a part of their development and see all the amazing changes that happen as they grow. She excels working with children of all ages and was most recently a lead infant teacher in her last position. 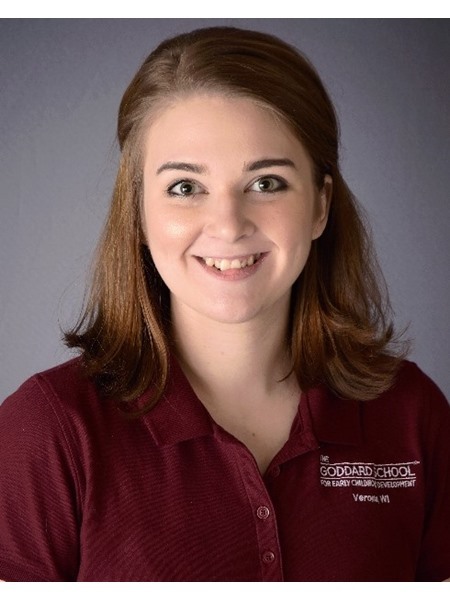 She is excited to work with all age groups while at the Goddard School. 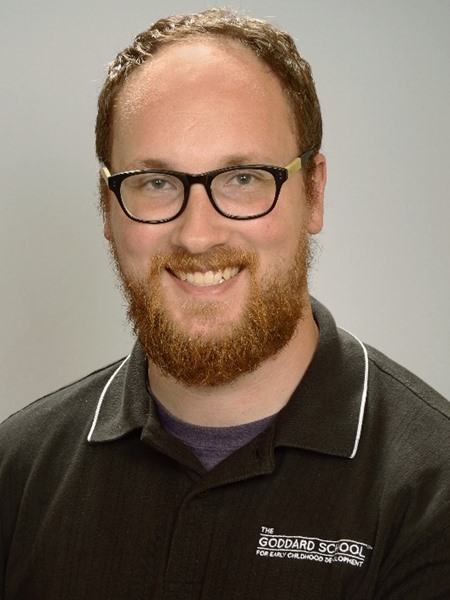 Mr. Sam began his love of working with children while in college when one of his professor's told him "For to have fun, it must always have a purpose." From then on, he takes that philosophy into his teaching when playing and working with children. Mr. Sam has most recently worked in a Pre-K classroom and is excited about the opportunity to work at the Goddard School. He loves being able to teach while having fun, and hopes to be able to provide lots of learning while sharing lots of laughter and smiles! Ms. Geetha obtained her Master's degree in English from Madras University and has been in the teaching field since 2009. She has held multiple teaching positions in early childhood and school age care including Boys and Girls Club, After School, and Assistant Youth Supervisor. 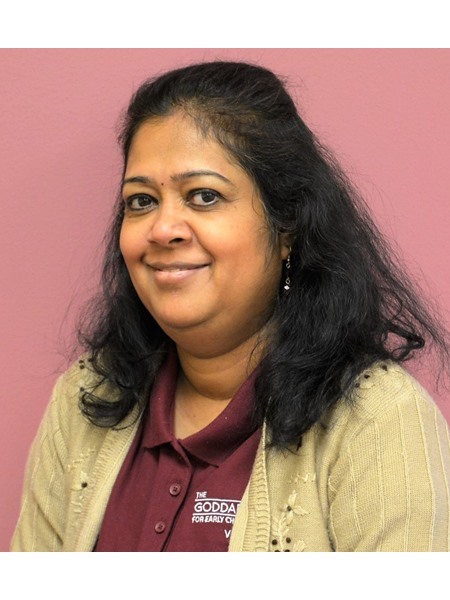 Ms. Geetha is excited to bring her expertise and fun loving teaching style to the Goddard School. 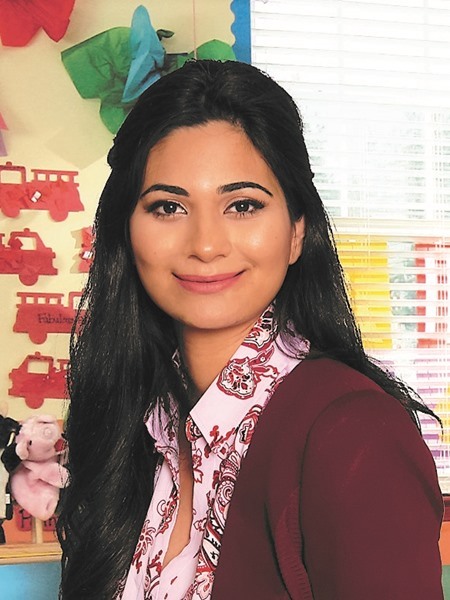 She loves to teach and believes in educating children in a friendly way as well as building relationships with them. She looks forward to meeting all the Goddard families. 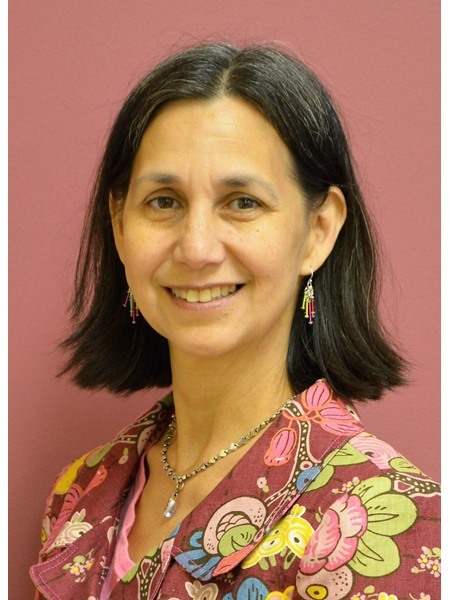 Ms. Anne has Associate's Degree in Early Childhood Education from MATC. She is trained in CPR, First Aid and AED. She also has her Pyramid Model and WMELS certifications and The Registry level 12. Her area of expertise is early emergent reading. She believes in teaching by modeling good behavior and teaching students respect and kindness in a loving environment. 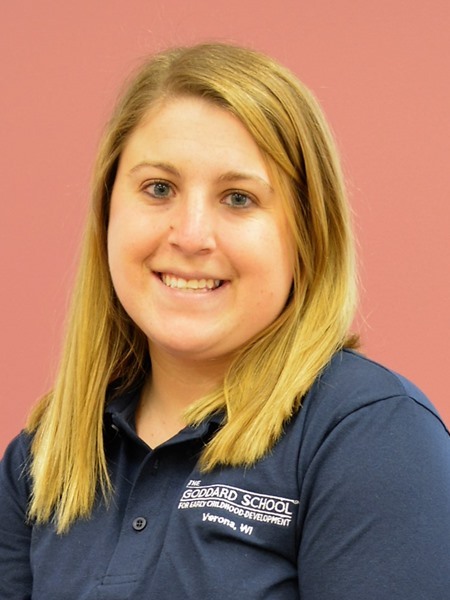 Ms. Katie received her Bachelors in Communicative Sciences & Disorders from the University of Wisconsin - Madison. 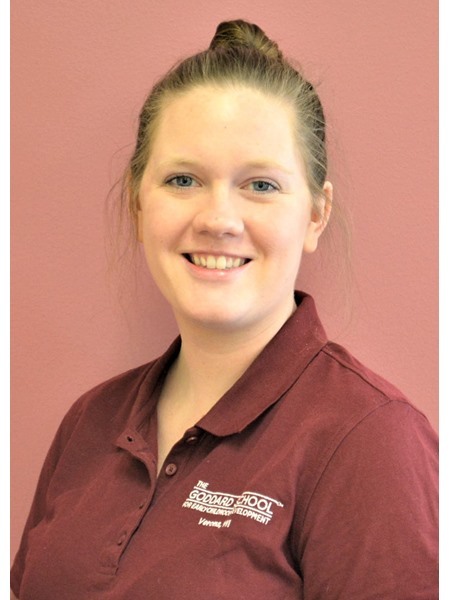 Ms. Katie most recently has worked with preschool age children at Wisconsin Early Autism Project as a teacher. She believes that children are generally eager to learn and thinks it is important to understand that each child learns at a different pace. Ms. Katie looks forward to using the F.L.E.X curriculum to work individually with all students. Ms. Eva has her Bachelor's in communications and journalism and has always had a love of teaching. Ms. Eva is certified in Infant and Adult CPR. She also holds her Shaken Baby Syndrome and SIDS prevention certificates. Ms. Eva recently moved to the Madison area, and wanted to take on a new position working with children. Ms. Ayan has her Certificate of Nursing Assistant(CNA) through the state of Minnesota. She is also certified in CPR, Shaken Baby Syndrome and Sudden Infant Death Syndrome prevention. She has been working in childcare setting since 2014. Ms. Ayan is mother of four beautiful daughters and understands the value of high quality early childhood education. Her youngest daughter attends The Goddard School. She loves seeing smiles on the children's faces when they learn something new. Ms. Brianett is attending Madison Area Technical College and studying to be a dental hygienist. Some of her hobbies are painting, dancing and playing soccer.She enjoys watching and playing soccer with her family and is a America Las Águilas fan. Ms. Brianett enjoys caring for children, especially under 2's. She is very excited to be a part of the Goddard family. 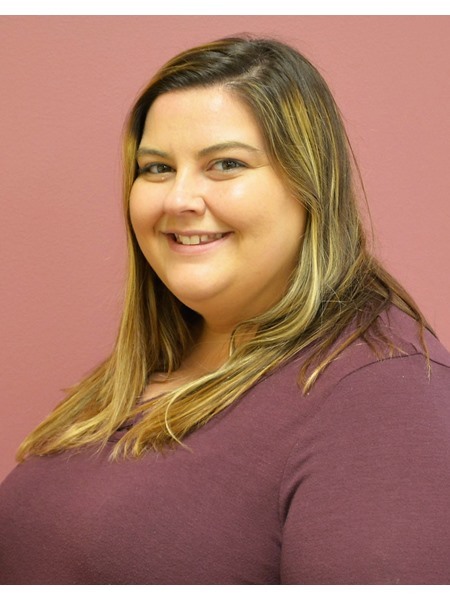 Ms. Brittany moved to Wisconsin from Florida after completing her Early Childhood and Infant/Toddler teaching certifications, and earning her BA in political science from University of Florida. She has previously taught VPK for two years, and done environmental education and gardening classes for children of all ages. She enjoys teaching her students sign language, science, and math the most, Reading books to the little ones is also a delight for her, as she reads everyday herself. Ms. Brittany is passionate about the environment, music, volunteering, and having fun every day. Her teaching motto is, “Be kind and loving in all you say and do”! Her day brightens considerably when she comes into work to see the kids! Mr. Esau is the Chef extraordinaire for The Goddard School. He has been the master chef for a very well liked Madison restaurant for over 12 years. He also has experience working in healthcare facilities where health and safety is the top priority. Cooking is Mr. Esau's passion and he loves creating new dishes with his own recipes. He enjoys cooking for children. It's amazing to see the joy on children's faces when "Mr. E" enters the classroom with their favorite meals. Mr. Esau is raising a son and daughter (twins) along with his wife. 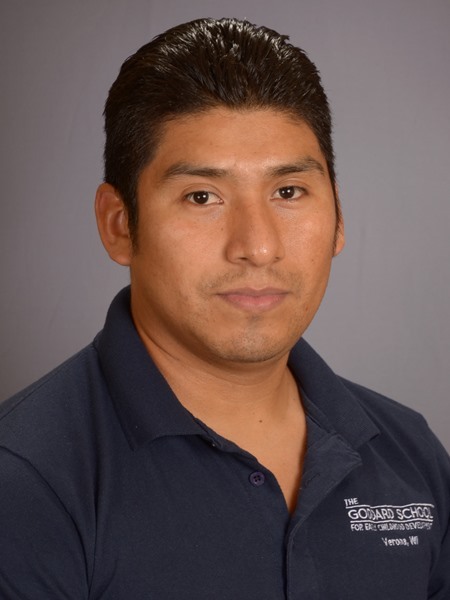 He loves soccer and enjoys going to his son's soccer games. Ms. Lori holds her Bachelors degree in History and Philosophy and has went on to get her Masters in Fine Arts. Ms. Lori holds her assistant teacher and infant toddler certifications through the State of Wisconsin. Ms. Lori has worked with children in multiple settings including life guarding, summer school, and as a youth t-ball coach. She is excited about being a part of a positive environment for all the children she will work with at the school. 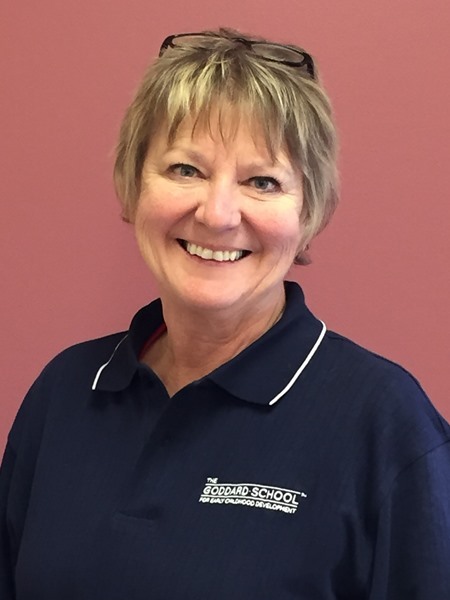 Ms. Peggy obtained her Bachelor's degree in Physical Education from the University of Wisconsin-Platteville. She worked for ten years as a physical education teacher in Utah before moving to Wisconsin. In this position, she coordinated and supervised physical education classes for grades k-5. Ms. Peggy enjoys teaching children new fun and exciting ways to be active. She believes that all children are naturally curious, happy and expressive. She enjoys her position as a preschool resource teacher and enjoys getting to know all of the preschool families at Goddard. 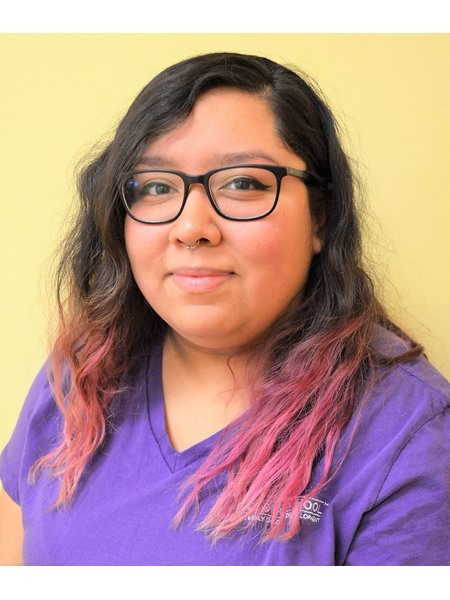 Ms. Petra is currently attending the University of Wisconsin - Whitewater for Molecular Biology with the hopes of some day being a pediatrician. 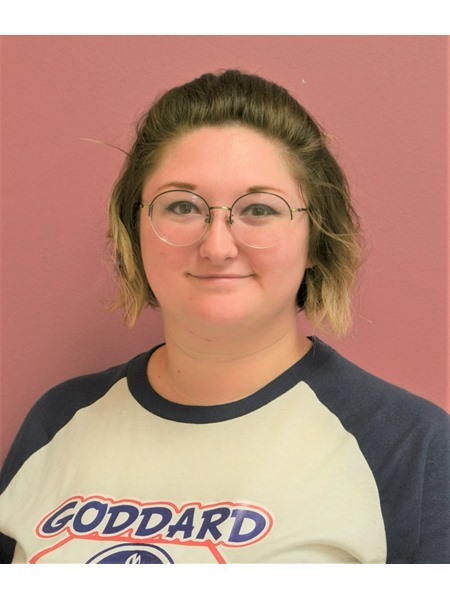 While attending school, she is excited to be able to bring her love of children to her position at the Goddard School. Ms. Petra holds her Shaken Baby prevention certificate and is trained in Adult and Infant CPR. Mr. Sam grew up in Texas and moved to Madison area after having lived in different parts of the US including Alaska and Pacific Northwest. With his energy and fun and caring nature, Sam is a favorite in every classroom with children, other teachers and parents alike. Sam is an avid guitar player and shares his love for music with Goddard students. 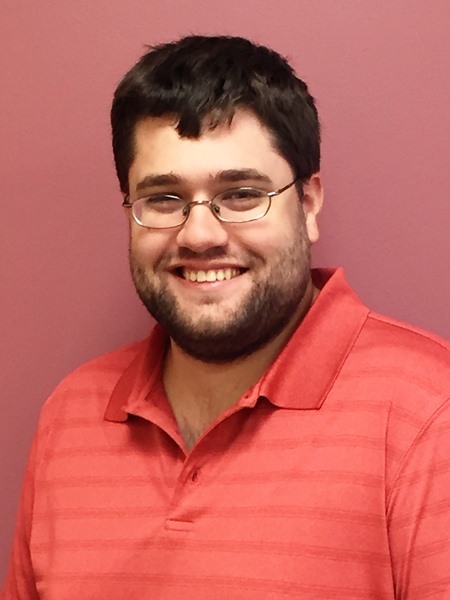 Mr. Sam is currently working on getting his Lead teacher certification through the State of Wisconsin. He loves being around children and helping them learn and grow. He looks forward to working with all of the Goddard families. 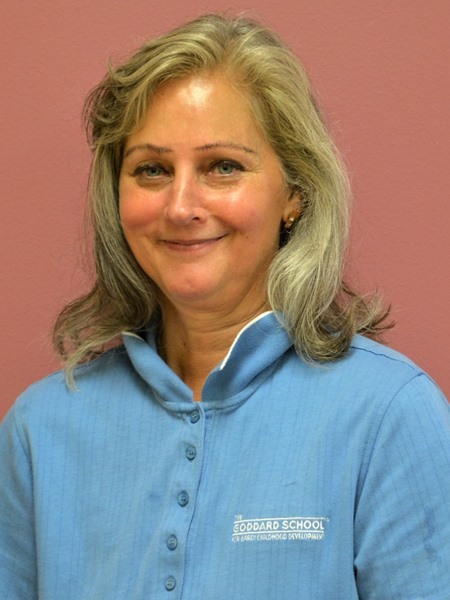 Ms. Sue is a Nurse by degree and has had a successful nursing career of over 40 years. It was 4 years ago when she decided to work with the little children and started working in childcare field. 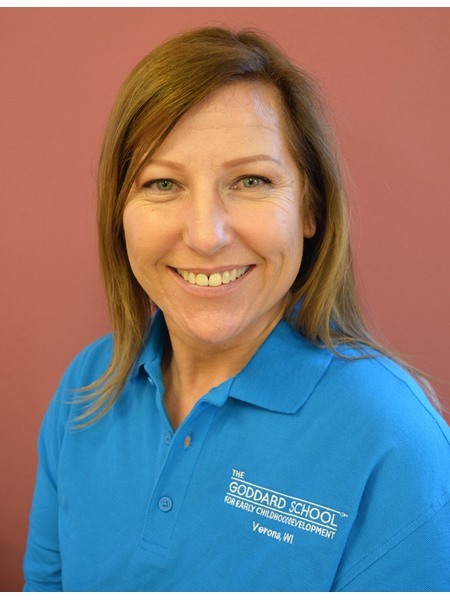 Ms. Sue is grateful to get the opportunity to work with all students at The Goddard School and she looks forward to making their interactions with her memorable for them. 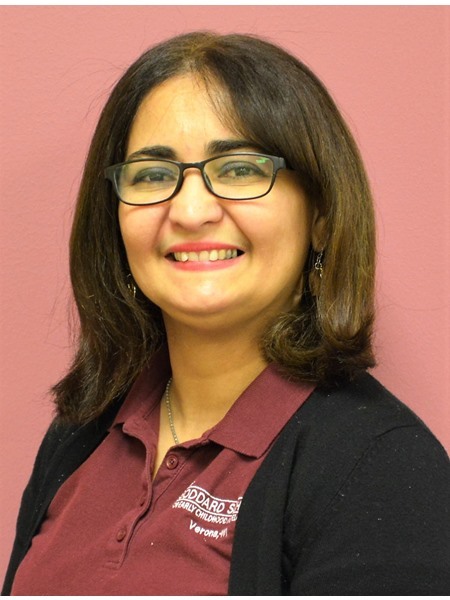 Ms. Yazmin has extensive experience working with children from different age groups; 4-k to 5th grade. 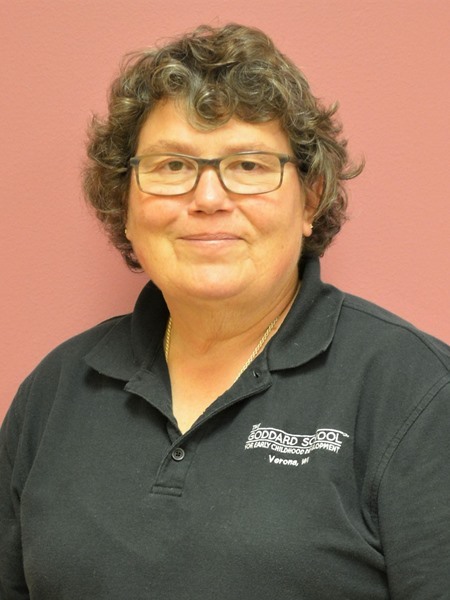 She has been employed by the Sauk Prairie Schools District for almost 5 years as an after-school club assistant teacher. Her family has lived in Sauk City for 16 years. During the summertime, she enjoys spending time outdoors. She loves going on road trips, camping and hiking!! Some of her hobbies are drawing, coloring and crocheting. Ms. Yazmin enjoys working with children. She loves the fact that every day brings an opportunity to make a difference in the children's lives. She loves getting hugs every day from her students. Her favorite part of working with children is watching them grow and learn new skills. 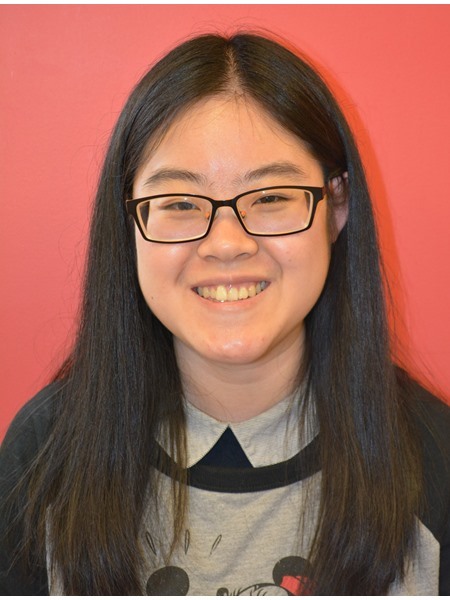 Ms. Yuxi is a senior at UW-Madison, pursuing a Bachelor of Science degree in Human Development and Family Studies. She is from Beijing, China and feels blessed to be working in such an inclusive environment. She has always had a passion for working with kids and being a positive influence in their lives. Ms. Yuxi has a love for reading, music and traveling. She is excited for the opportunity to learn and grow with the wonderful Goddard students and joining the Goddard Family.